British experience designers Bompas & Parr's latest interactive food event is a diner-style drive-through created in collaboration with the Avant-Garde Diaries and Mercedes-Benz. 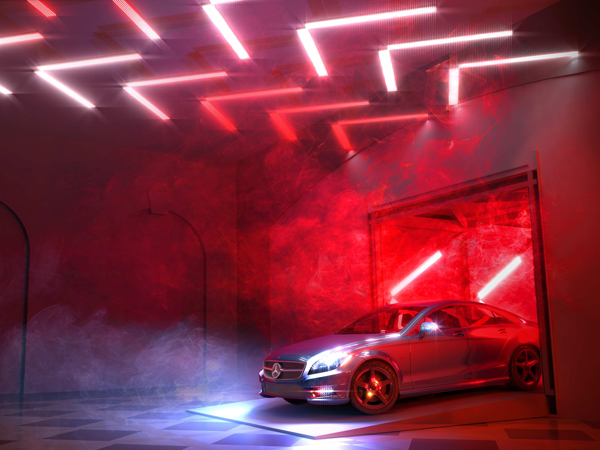 Taking place 14 - 16 September at the Old Selfridges Hotel in Mayfair, the Mercedes Drive Thru will invite guests to explore luxury dining in-car - and promises to combine food with light art in spectacular fashion. Guests will drive along the marbled hotel lobby floor to place their food order; then, with the accompaniment of a light show, they will be free to relax whilst awaiting the deliverance of their meal by staff on roller skates. The event is to highlight the staging of the new A-Class Mercedes Benz, which is now available to order in the UK.